Steiff EAN 068287 Kari Hawksbill, 32cm. 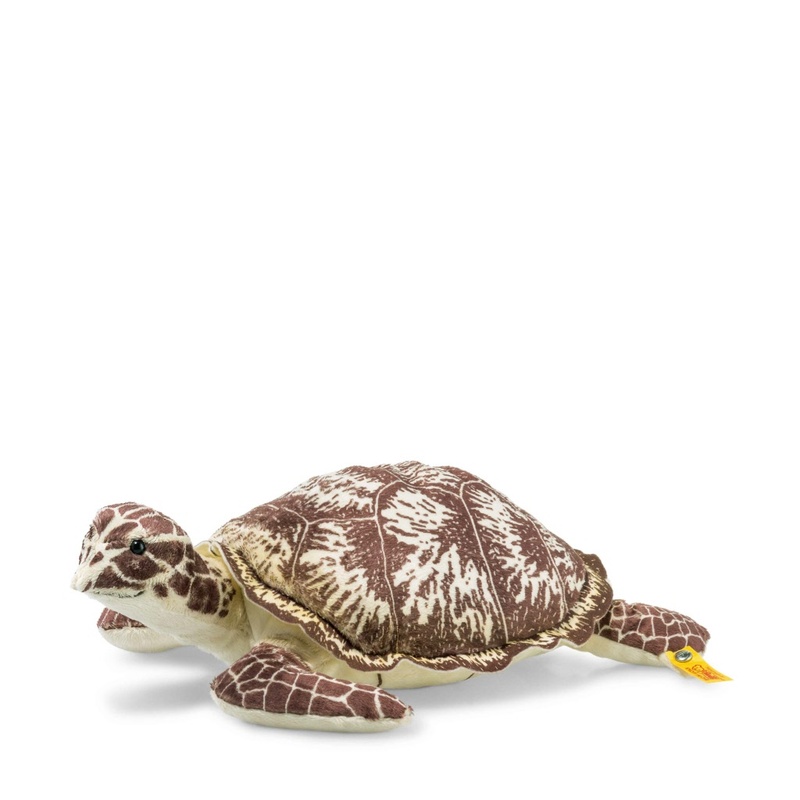 Kari Hawskbill turtle is made out of soft brown/creme plush. He is filled with synthetic filling material and has safety eyes. Kari has a stainless steel button in his left paw. 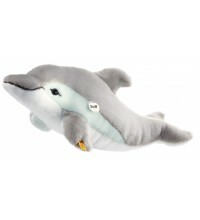 Steiff Cosy EAN 063183 Cappy dolphin, 35cm. Cappy is made of grey and white coloured cuddly plush with airbrush details. He has safety eyes and is filled with synthetic stuffing material and Machine washable (30 degree C). He is with the CE mark for safe toys. 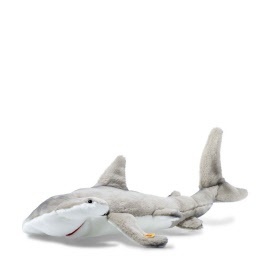 Steiff EAN 063633 Sam Hammerhead shark, 62cm. Sam Hammerhead shark is made out of grey/white woven fur. He is filled with synthetic filling material, airbrush details and safety eyes. He is machine washable at 30° C (in a laundry bag/net) and has the CE mark for safe toys. Steiff Sam has stainless steel button in his left ear. 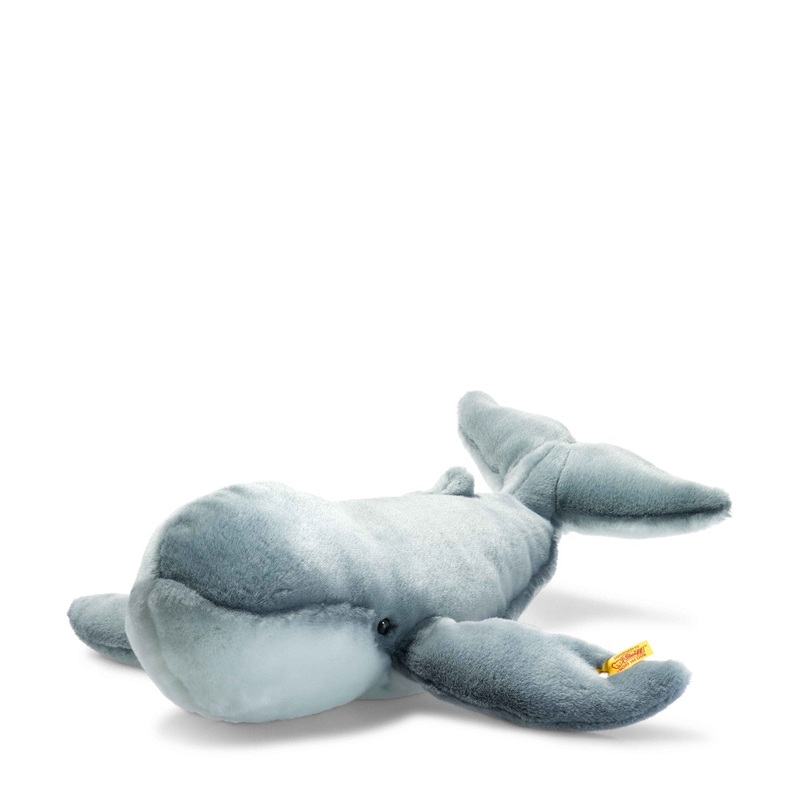 Steiff EAN 063695 blue whale mum, 48cm. Blue Whale Mum is made out of blue grey woven fur. 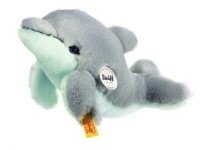 Steiff Whale has stainless steel button in her left ear. 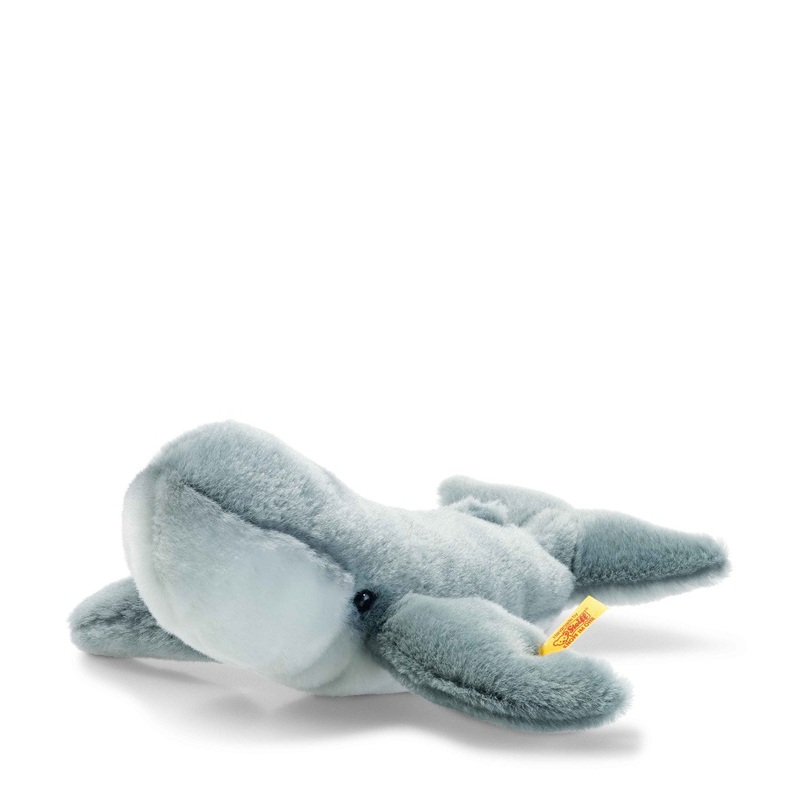 Steiff EAN 063695 Blue Whale Baby, 24cm. Blue Whale Baby is made out of blue grey woven fur. Steiff Whale Baby has stainless steel button in her left ear. 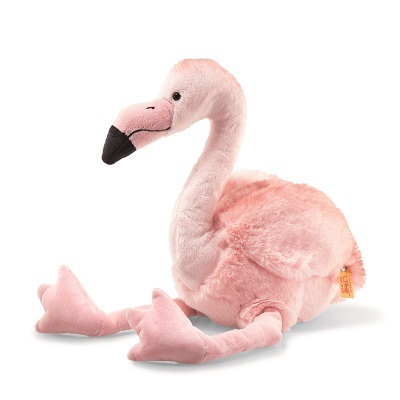 The red shading on the head, edge of the wings and back give 30 cm tall Pinky dangling flamingo a stunning look. This lovable goof has a beautiful black bill along with other details including a black beak line and nostrils designed using an airbrush. The wings are lovingly sewn onto the body. A beautiful gift idea. 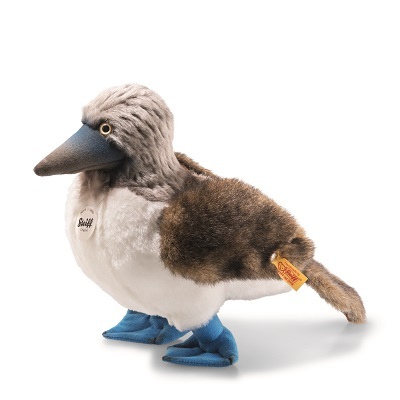 Steiff EAN 063749 Bobby Blue footed booby, 24cm.